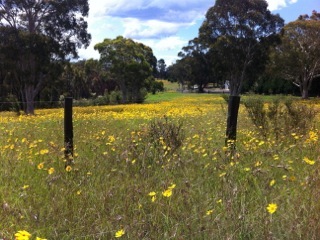 The wild flowers have been lovely, but they are all gone now. It’s almost autumn and the cherry trees in the Chekov orchard are loosing their leaves. 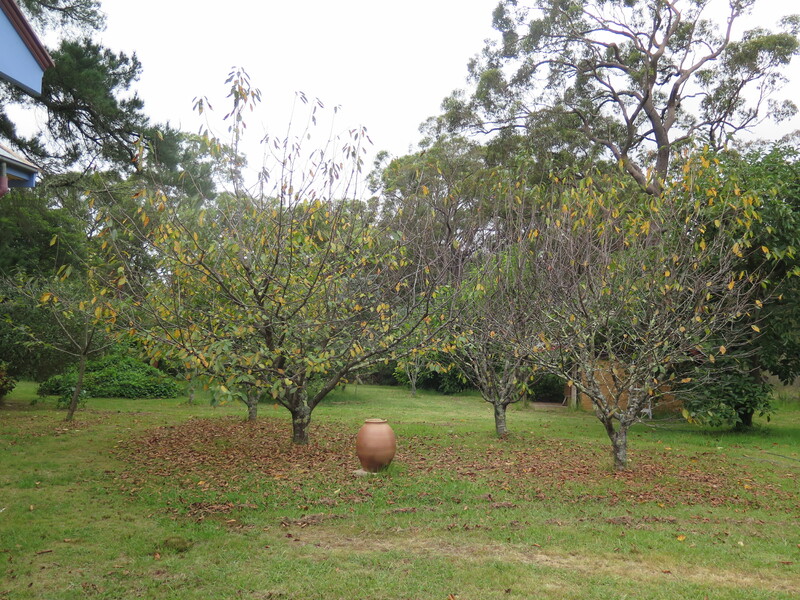 They are the first to fruit and the first to go dormant. We are experiencing a late summer scorching week of high temperatures in the mid 30’s and have had to be out early and late to water the garden. Overall, this summer has been exceptional, although it has been hot, it has also rained a lot and even at this late stage , with all this heat now, we still have green grass outside our window. We are usually looking out at dry, dusty gravel at this stage of the summer. 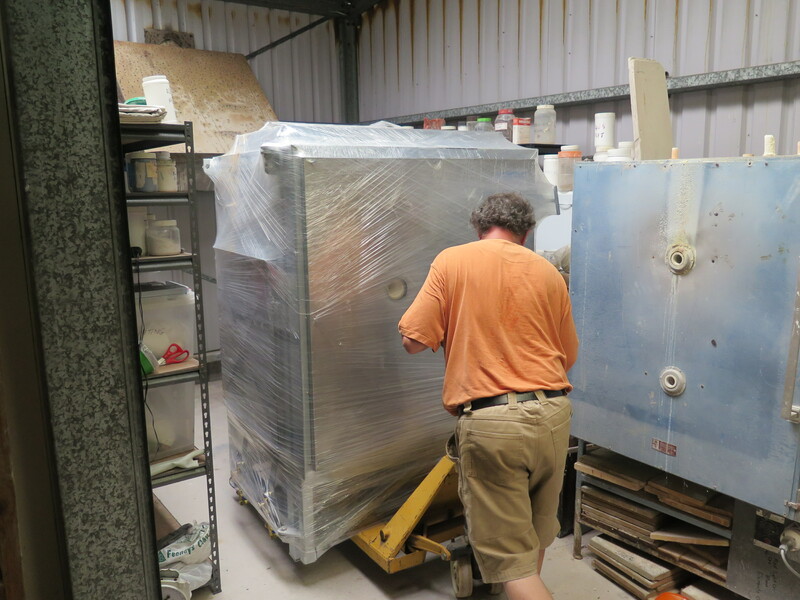 I have delivered the latest kiln to my customer and all went so very smoothly. Just as it should, as we do a planning to get it all just right, but regular readers of this blog will know that the best laid plans can suddenly go terribly wrong at the drop of a hat when a third party lets you down after promising faithfully to turn up on time. This is never the case with Dave, my local crane truck driver. He is amazingly punctual and careful with my jobs. 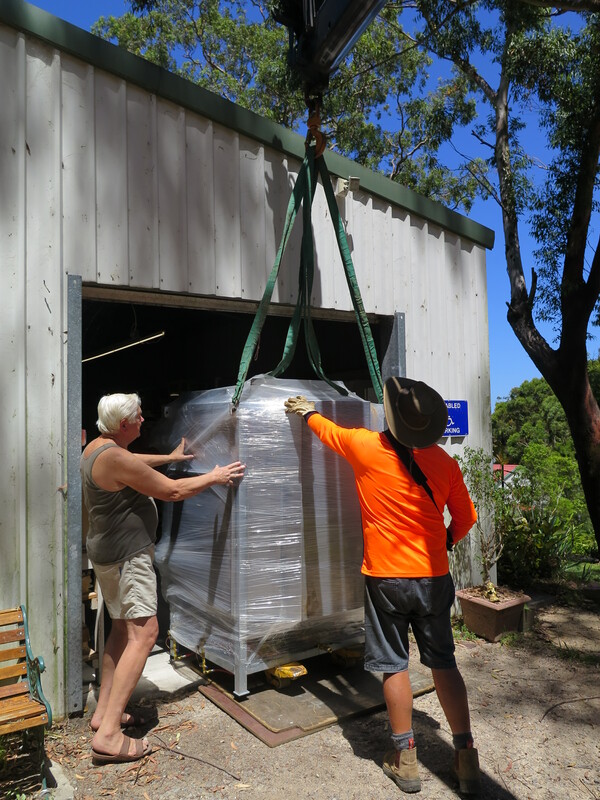 It’s a pleasure to work with someone so professional and creatively competent at moving heavy objects. Warren and I have already started the next job and got it well under way. 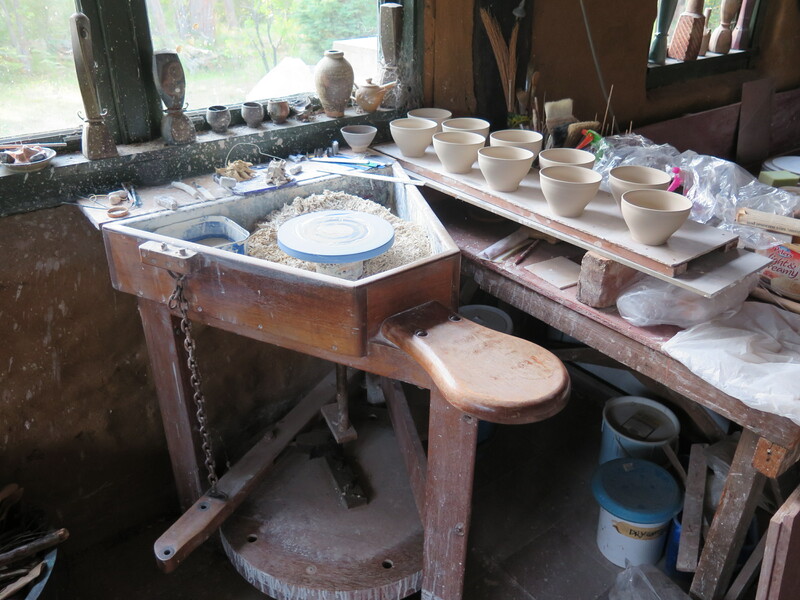 As I am ahead of schedule with my orders, I have been able to spend time in the pottery making some more of my porcelain. Iron stained yellow, pale ochre grey and creamy grey/white bodies. 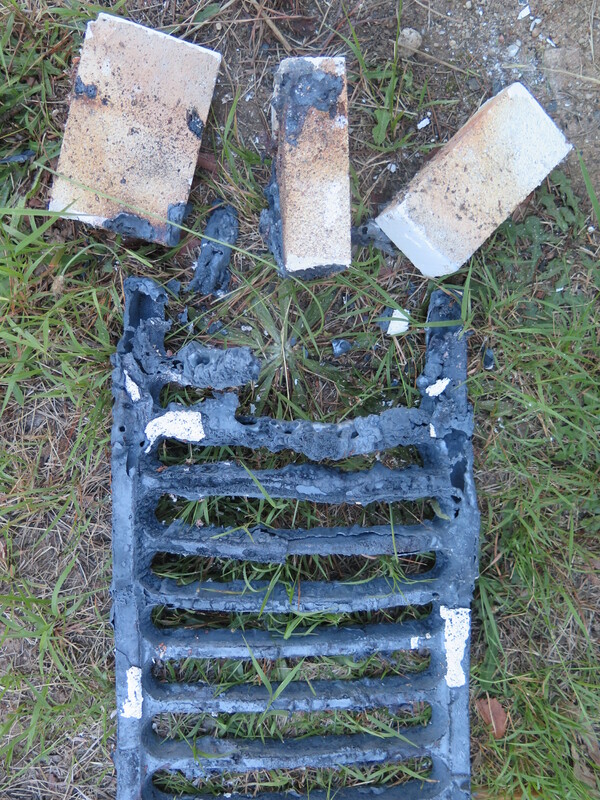 Cast iron doesn’t work in this kiln. OK for raku, but not here. We have tried experiments with different types of fire bars over time and worked out that in this kiln, we can’t use ceramic fire-bars, or mild steel fire-bars, or cast iron bars, but custom welded stainless steel fire bars are the go for this little beauty when fired in reduction. 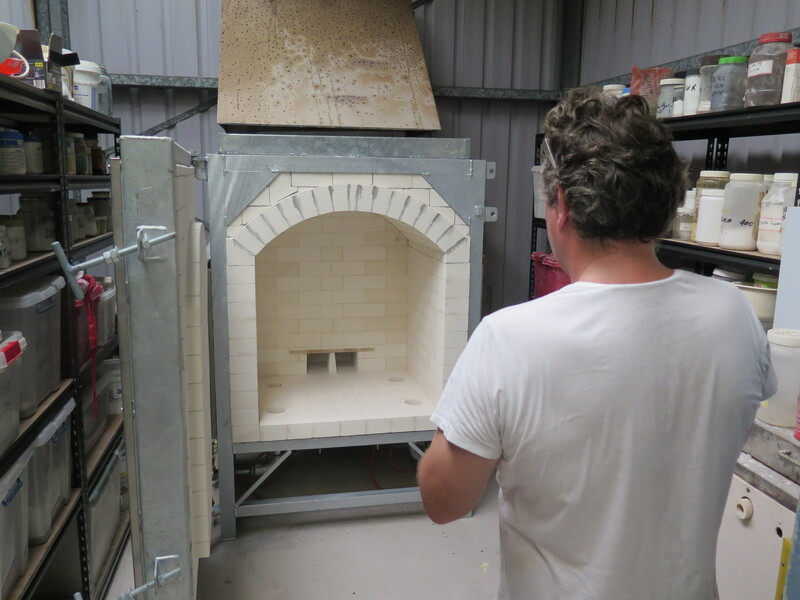 The other fire bars that we have tried have worked well in other kilns at different times, but for this one, it’s going to have to be custom made stainless steel. They have proved to also have their issues, but I have worked thorough these and I now have a workable solution. I just need to try one more variation on the way we use the flue! I am so confident about this little kiln now, that I am starting to draw up a plan for a larger version. 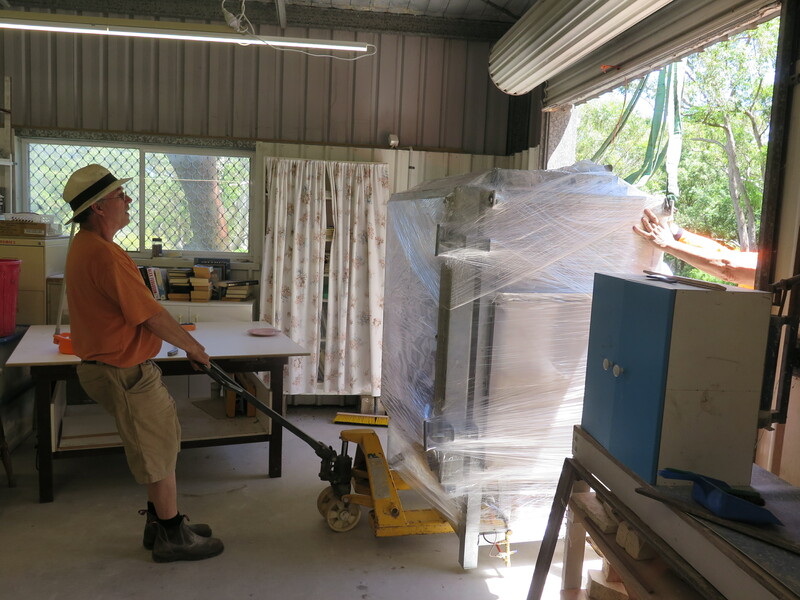 Increasing the kiln shelf area from 300mm. x 455mm. (12’ x 18”) to a kiln shelf of 455mm x 455mm. Sq. (18” x 18”)! 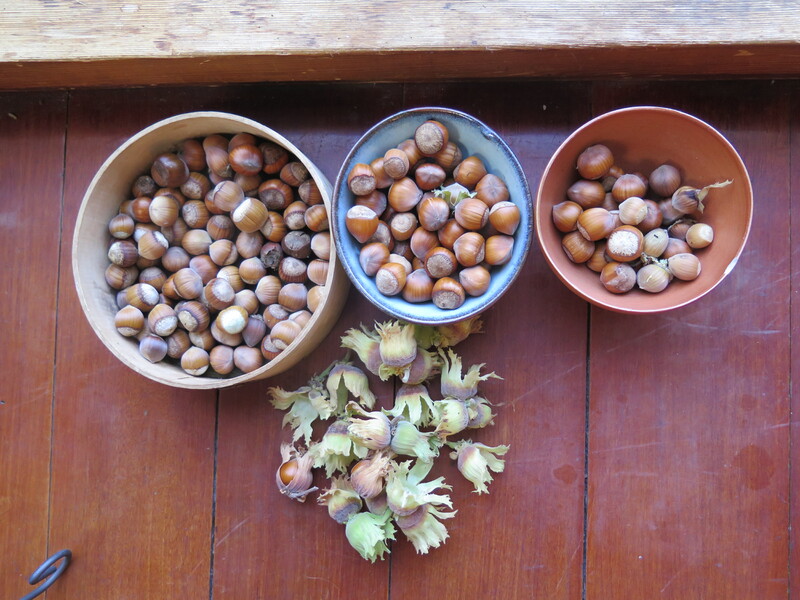 For the last few weeks, the hazelnuts have started to ripen and fall, we dry them in the sun in the kitchen window sill for a week and then they are ready to eat. Unlike our almonds, that always seem to need oven drying and slightly roasting to get the best out of them. 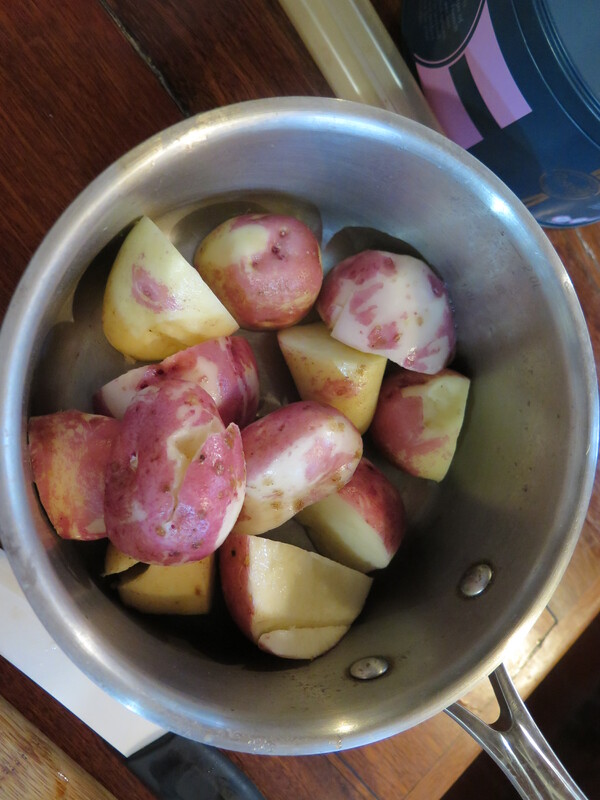 The filberts are good to go, straight out of their shell after drying. 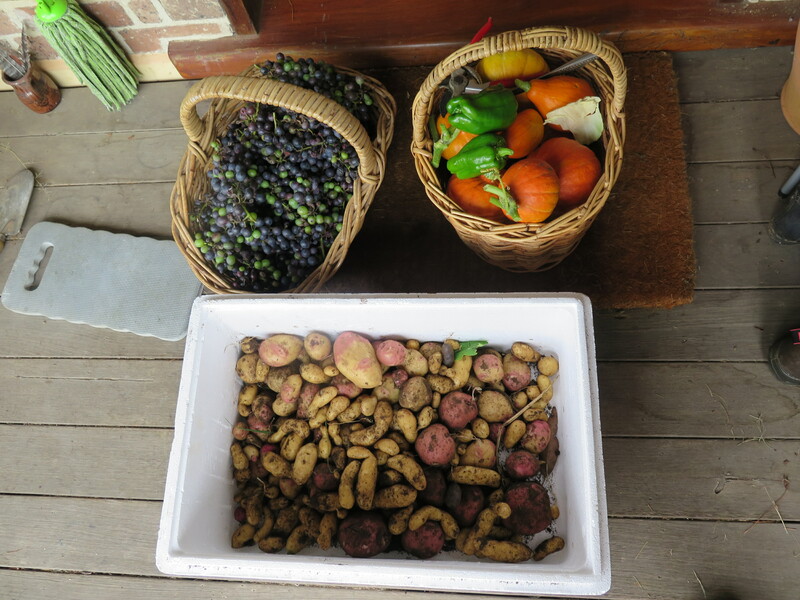 This is our first good crop from them. We planted 2 year old grafted seedlings about 3 and 4 years ago, so the oldest ones are just starting to come to fruiting now. The first year, all the shells were empty. 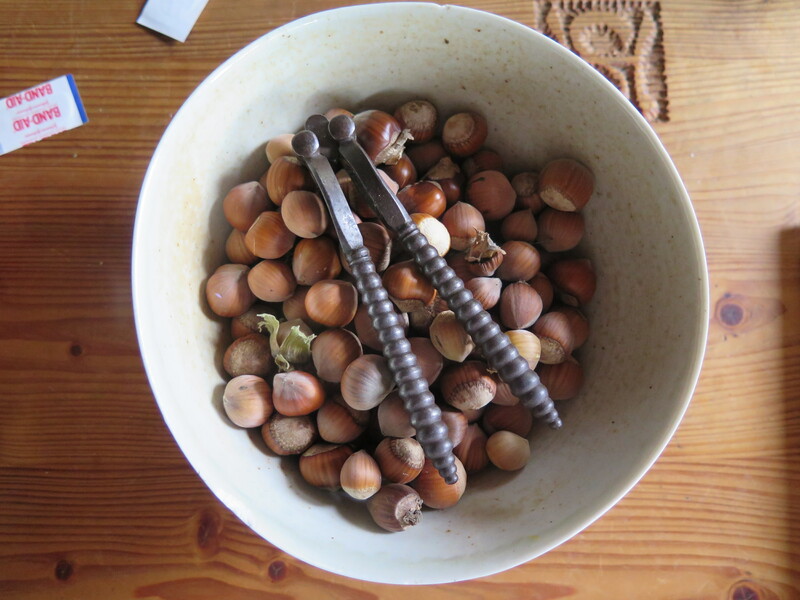 Last year we only got a few hands-full of nuts and half were hollow, but this year, they seem to have reached maturity, with most casings containing a nut — and they are lovely, crunchy and sweet. We have a few with a piece of nice cheese after dinner. 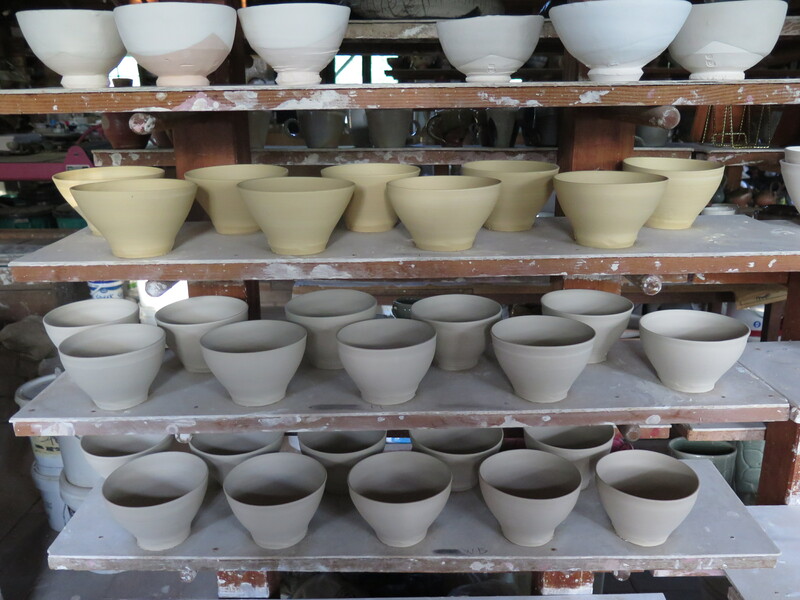 I’ve been in and out of the pottery pushing ahead with making pots for the next firing. 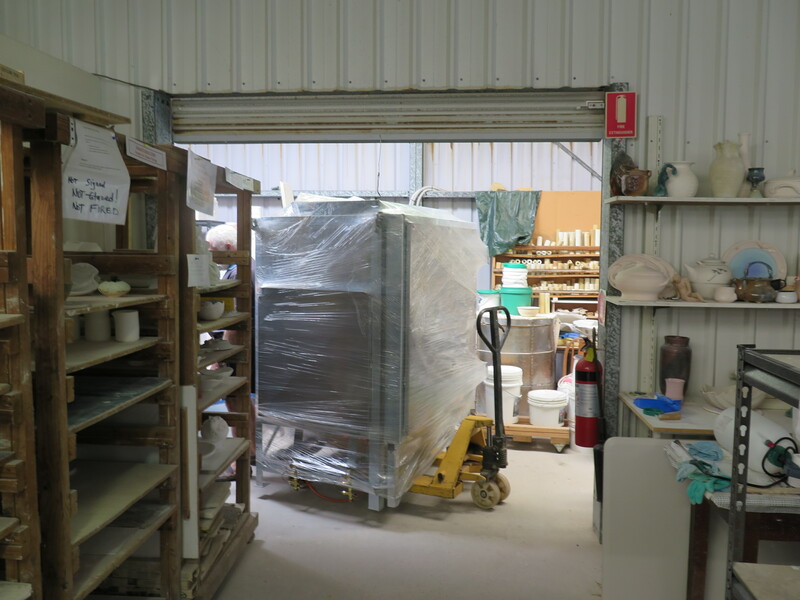 We are technically still in fire ban season, so we can’t fire the big kiln easily at this time, as it takes 20 hours and is obvious to passers-by. 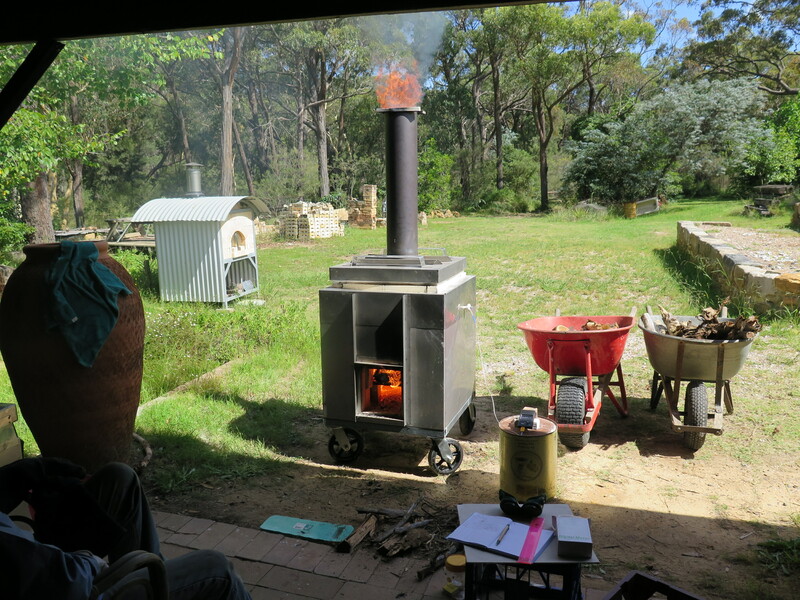 But the little portable kiln is OK for a quick 3 1/2 hr. firing on the cooler days after some rain or a damp night of heavy dew. We can start early and finish before the day gets hot at mid day and after. It’s very convenient. 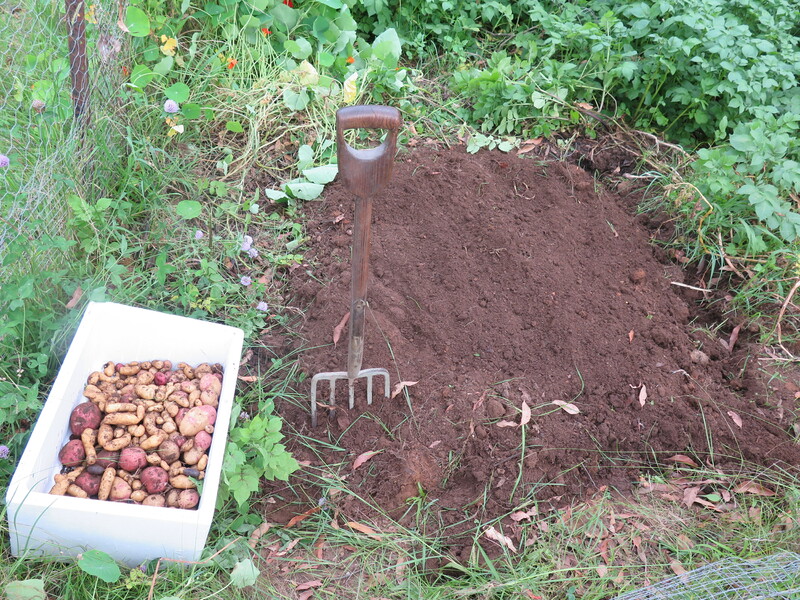 We have settled into using just one wheel barrow of paddock falls, dry dead branches. I’ll have to try it with fresh split pine, old pallets and eucalypt heartwood in the future, but I can’t see any real problems there. Time will tell. 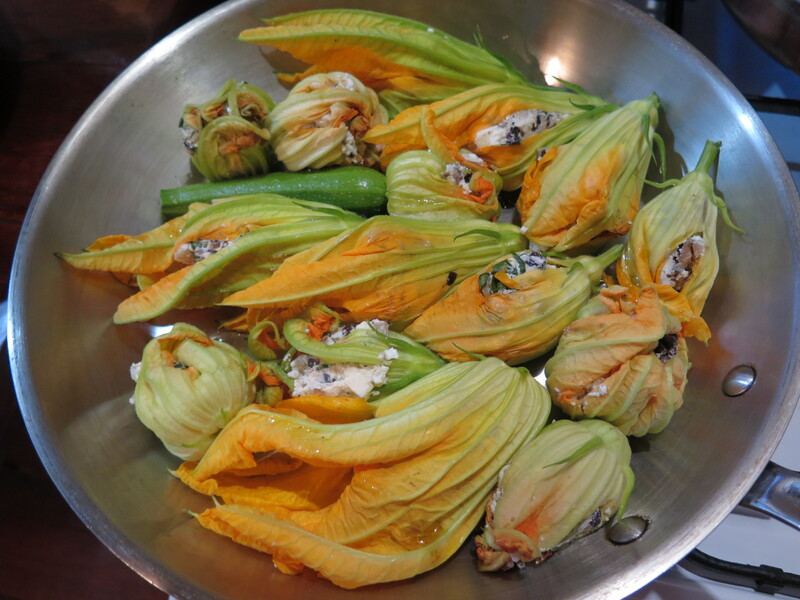 As the garden is thriving we have been eating fresh stuffed zucchini flowers. These are our 2nd planting of zucchinis. 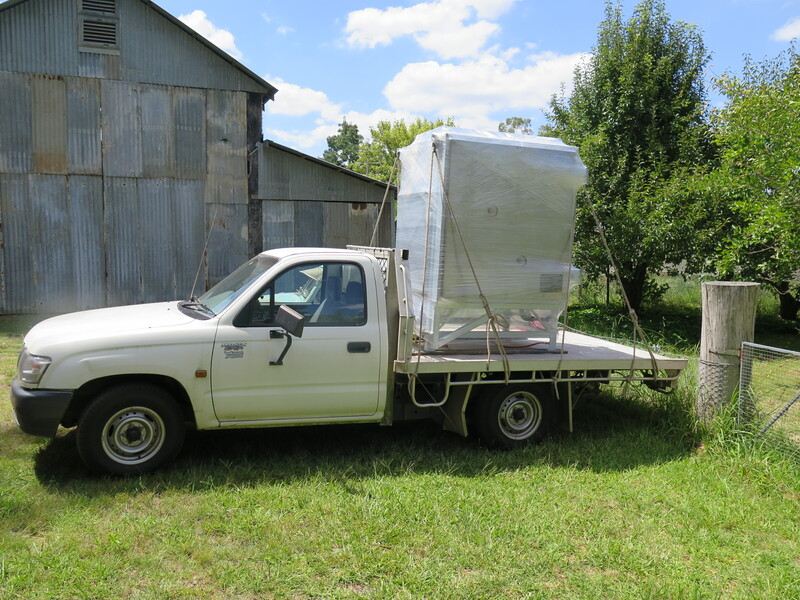 We are starting on our third planing of cucumbers, as the extremely hot days really frazzles them, and our 5th planting of raddishes etc. 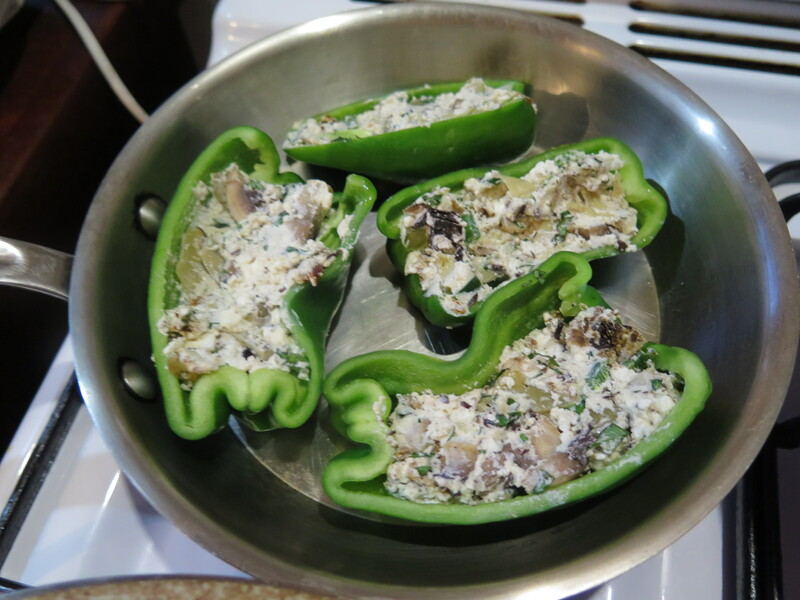 We are also enjoying capsicums stuffed with ricotta and our own dried tomatoes and herbs. We have started to dig the first 3 rows of the 2nd planting of potatoes. It looks to be a very prolific crop. We fill a box quickly. There are twenty rows to keep us well fed through the winter. Regrettably, Janine and I went to the fish markets mid-week for a late sushi lunch on our way to an opening of a friends show at Watters Gallery later in the evening. I say regrettably, because I was struck down with food poisoning during the evening and had to leave early from the show, before my friend even turned up. I’ve had to have 2 days off with the runs, and stomach cramps, unable to sleep through the first night without interruption. I am chastened and weakened, but starting to recover. An unwelcome surprise. I won’t be eating anything more from the sushi shop at the fish markets! Even now I’m still suffering a delicate stomach and slight head ache that makes it hard to concentrate. I have a load of work to do, but I’m not really up to achieving much just yet. This entry was posted in In the garden, in the kitchen, In the pottery, kilns, self-reliance by hotnsticky. Bookmark the permalink.